¡Painting, playing and learning! A collection of exercise books aimed at developing the child’s abilities and strengthen the knowledge acquired in school. 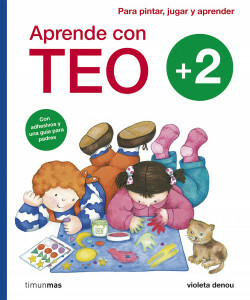 With Teo and his friends, the child will learn by playing and will have fun developing his imagination and his comprehension.